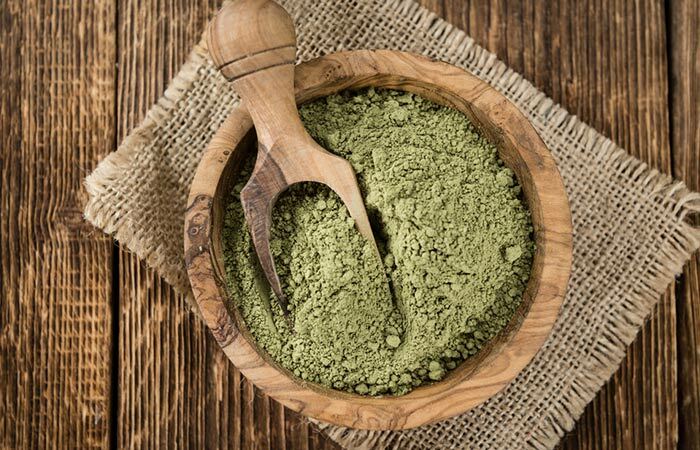 10 Best Neem Powder Benefits You Never Knew! We all are aware of the medicinal values of neem, aren’t we? It is a well-known herb in India that has been used for various purposes since time immemorial. Apart from that, neem powder has a lot many uses. Are you curious to know more about neem powder benefits? Keep reading! The botanical name of the neem tree is Azadirachta indica. This tree is native to India, Myanmar, Sri Lanka, Bangladesh, Pakistan, etc., but now is grown worldwide for its medicinal and healing properties. With all of its parts possessing medicinal values, this herb is useful for the treatment of various ailments. The antibacterial, antiseptic, antimicrobial and anti-inflammatory properties of neem make it valuable for human health. Today, neem has obtained tremendous value in the market for commercial use. Neem oil is used in bathing lotions, soaps, cosmetics and as an insect repellent as well. One can use neem leaves in the treatment of eye problems, bleeding nose, intestinal worms, stomach problems, loss of appetite, etc. They can also treat skin diseases, cardiovascular disease, hay fever, and diabetes, oral and liver problems. Neem seeds are ground into a powder that is soaked overnight in water and sprayed onto the crop to keep away the insects (1). As far as the neem powder is concerned, it possesses most of the medicinal values of neem. It can be used internally in tea form; it can be added to cuisines or used externally as well. Earlier, neem powder was even used as a contraceptive. Nowadays, it is used in cosmetics, soaps, lotions, etc. The intake of neem powder has been found beneficial in treating digestive problems. It also enhances immunity and acts as a blood purifier. As stated above, neem powder is beneficial for your health in various ways. Given below are the top ten uses of neem powder. Dandruff is harmless, but it can ruin your hair charm and can be embarrassing. Dandruff occurs due to the shedding of dead cells from the scalp, or the flaking of a dry scalp. Neem powder can help you in treating dandruff. You can add neem powder in water and apply this mixture to your hair roots, and then consume the water. Leave it for 30 minutes and rinse thoroughly. With the regular use of this remedy, you can get rid of dandruff. Ringworm is not uncommon. It is a fungal infection of the skin, marked by ring-shaped, red, scaly patches. Sometimes these patches get itchy and irritating. Neem powder has been found effective in treating ringworm as it is a fungal infection, and neem has strong antifungal properties. For treating ringworm, mix neem powder with water. You can add a few drops of olive oil if your skin is dry. Apply this paste to the affected areas and rinse after 10-15 minutes with lukewarm water. Follow this process daily for few days to get noticeable results. Lice are parasitic insects that live in human hair. They are contagious. They feed on a small amount of human blood, thus adversely affecting your health. Neem has got the property that inhibits the growth of lice. It also prevents the lice eggs from hatching. If you are troubled by head lice, you can prepare a paste of neem powder and water. You can also add henna powder to make it thicker and smoother. Apply it to your hair and rinse off after drying. You can use this method on alternate days or 2-3 times in a week for relief. Have you ever used neem powder for acne or pimples? Mostly, it is the oily skinned people who suffer from this issue. The antiseptic, antioxidant, antifungal, antiviral and anti-inflammatory properties of neem help in treating acne or pimples. Powdered neem leaves are a major component of most of the widely used facial creams. To get rid of acne or pimples, you can add neem powder to yogurt or fuller’s earth. Make a paste of neem powder and yogurt, fuller’s earth and water. Apply it on your face. Rinse after it gets dry. Repeat this 2-3 times a week for best results. Neem powder can be added to toothpaste also. It has been found to be very beneficial in treating oral/dental problems. It combats gum diseases and keeps the mouth healthy and germ-free, fights bad breath, kills bacteria in the mouth, prevents and reduces plaque, fights cavities, etc. Neem powder is totally oral friendly. Sinusitis is an inflammation of the sinus; it can be chronic or acute. You can use neem powder as nasal drop for treating sinusitis. It helps in reducing inflammation. Mix one teaspoon of neem powder in a cup of hot water and take 2-3 drops twice a day for relief. Athlete’s foot is a common skin disease of the foot. It is contagious and can spread to other parts of the body as well. For the treatment of athlete’s foot, you can use neem powder paste. Traditionally used to help soothe skin irritations, neem powder can also be used as a non-toxic fungus-fighting foot powder (2). All you need to do is make a paste by combining neem powder and water. Apply it to the affected areas regularly. The antiseptic, anti-fungal and anti-bacterial properties of neem help in fighting athlete’s foot disease. Psoriasis is a chronic skin condition, marked by silver/red, itchy, scaly painful patches caused due to the extra growth of cells. 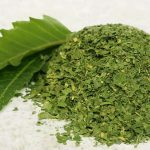 Neem powder can treat Psoriasis effectively. Either you can take neem powder internally or apply it externally. For internal use, you can take one teaspoon neem powder and 1/2 a teaspoon turmeric powder with lukewarm water twice daily. Alternatively, you can apply water and neem powder paste externally to the affected areas daily. Eczema is a chronic skin condition. It is an inflammation of the epidermal layer of the skin. The symptoms of eczema include red, itchy and dry patches on the skin. It is more common in children and infants than in adults. For the treatment of eczema, you can make a paste using water, neem powder, and some turmeric. Apply this paste to the affected area. Neem powder has proven to be effective in providing relief from eczema. Hair loss is becoming a frequent issue these days among both men and women. There can be several causes for hair loss. 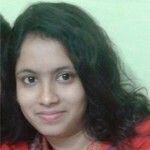 But neem powder can greatly help in reducing hair fall. For this purpose, you can prepare a paste of neem powder and water. You can also add Aloe Vera to it. Apply this paste on the scalp/root twice a week about 20-30 minutes before bath. The above mentioned neem powder benefits and uses speak of its tremendous medicinal value. Neem powder acts as an inexpensive home remedy for several health issues that we face in our day to day lives. Hence, it is advisable to make it a part of your kitchen. We hope this post on neem powder benefits has helped you. Give us your valuable feedback by commenting in the box below!